RACINE—Mark C. Allen, age 63, passed away unexpectedly Saturday, February 2, 2019. He was born in Racine, WI, March 15, 1955, son of the late Kenneth and Dorothy (Nee: Praeger) Allen. Mark was a graduate of Wm. Horlick High School, “Class of 1973”. On October 15, 2015 Mark was united in marriage to his partner of 36 years, Marcelo Pantig, who preceded him in death, September 8, 2017. Mark’s career as a caregiver gave him great satisfaction as he comforted many people. Especially his loving care and devotion to his beloved mother who was afflicted with ALS. His family and friends will dearly miss his kindness, and caring generosity, always brightened our day with his fun and happy demeanor. He enjoyed decorating, antiquing, entertaining and creating delicious desserts. “We were so blessed to have you in our lives, we Love you Markie”. Surviving are his aunts, Julie Ruffalo and Shirley Moreno; niece, Lisa Allen, nephews, Brian and Brock Allen; cousins: Susie (David) Plouff, Kathleen (Tim) DeGarmo, John Praeger (fiancee’ Beth Thode), Jerry (Felicia) Praeger, Ann Marie Ruffalo (Jill), David (Bridget) Ruffalo, Jane Ruffalo, and John Ruffalo; other relatives and many dear friends. Special friends, Evelyn Schiebner and Wally Goebel. In addition to his parents and husband he was preceded in death by his brother, Ken Allen and grandma, Julia Praeger. A celebration of Mark’s life will be celebrated at a later date. Michael R. Villalpando, age 72, passed away Wednesday, January 9, 2019 unexpectedly at his home in Ayase-shi, Kanagawa, Japan. RACINE—Theresa M. Vrublevskis, age 89, passed away peacefully at Home Inspired Senior Living in Kenosha on Jan. 21, 2019. Kaisler, Edward G. age 87, of Savage, formerly of Edina, passed away February 5, 2019. Born in Racine, WI on November 7, 1931 to John and Agnes (nee Polansky) Kaisler. Married Doris (nee Granger) on May 28, 1955 in Racine. Ed and Doris raised six children together, all of whom he was very proud. Preceded in death by his wife of 45 years, Doris, and daughter, Mary Scherbring. Survived by five children: Laura (Craig) Mollet, Julie (Chris) Londgren, Kathy (Mike) Shepherd, Tom (Sheri) Kaisler and Mandy (Mike Shockman) Kaisler; son-in-law, Wayne Scherbring; 10 grandchildren: Megan, Bridget (Charlie), Justin (Caroline), Ben, Maddie, Gabe, Becky (Mike), Kyle (Emily), Jacob and Rachel; two expected great-grandchildren and siblings, Delmar (Ruby) Kaisler and Nancy (Bill) Mutchler. Ed was grateful to God for a long and wonderful life and will be missed by his extended family and friends. Mass of Christian Burial at 10:30 a.m. Monday, February 11, 2019 at Our Lady of Grace Catholic Church, 5071 Eden Avenue, Edina. Visitation one hour prior to Mass at the church. Ed will be interred alongside his wife, Doris at Lakewood Cemetery, Minneapolis. He was born in Racine, April 6, 1927, son of the late Lawrence and Marie (Nee:Entrop) Pier. Bill graduated from St. Catherine’s High School “Class of 1945” and joined the U.S. Navy serving during WWII. On April 11, 1953 he was united in marriage to Beverley J. Hazel who preceded him in death January 28, 2017. 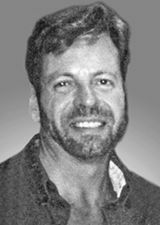 Bill was a skilled carpenter who had a very strong work ethic. He was employed by various construction companies throughout his career last working with Riley Construction. Bill was a lifetime member of St. Joseph Catholic Church. He took meticulous care of his yard. Above all he valued work, his family and efficiency. Surviving are his children, Catherine (Richard) Dowdell, Stephen Pier, Janice (Sami) Youssef, Sharie (Albert) Hansen, CoCo Miller; grandchildren, Matthew (Panya) Dowdell, Thomas (Christina) Pier, Nathan (Shin-Ye) Pier, Elissa Antongiorgi, Libbie Sienna, Lanie and Keelie Miller; 6 great grandchildren; sister, Joan Petersen; brother, James Pier; brothers-in-law and sisters-in-law, Joan Pier, Byron Hazel, William (Cindy) Hazel, Shirley (Glen) Campbell, Lynn (Lynn) Wakefield; nieces, nephews, other relatives and friends. In addition to his parents and wife he was also preceded in death by two sons, Daniel, Patrick; and brother, Theodore Pier. The family is forever grateful to CoCo and Sharie for their dedicated care to Dad these past 3 years. RACINE—Rodolfo “Rudy” Renteria, Jr., age 80; beloved husband of the late Sarah (nee: Gonzales) Renteria; passed away peacefully at The Villa at Lincoln Park, surrounded with the love of his family, on Thursday, February 7, 2019. Please see an upcoming edition of the newspaper for the complete obituary. She was born in Tornby, Denmark on October 18, 1927, the daughter of the late Aage and Johanne (nee: Larsen) Christiansen. Inga came to Racine on January 16, 1952. On August 20, 1955, she was united in marriage to John Harrits. He preceded her in death on June 24, 1997. Inga married Clair Jenn on November 15, 2003. She worked for Racine Visiting Nurses Association, retiring in May of 1985. Inga was a member of Lutheran Church of the Resurrection. Surviving are her husband, Clair, daughter, Lynn (Mark) Svendsen and son, Peter (Pia) Harrits; grandchildren, Emily (Joseph) Matson, Matthew (Amanda) Svendsen, Helena Harrits and Jason Harrits; great-grandchildren, Colton Matson and Ava Svendsen; stepchildren, David, Barbara, Thomas (Megan) and Mark (Becky) Jenn; step-grandchildren, Colby, Eli, Luke and Scott Jenn; brothers, Henning (Esther) and Poul (Krista) Christiansen; sisters, Grete Christiansen and Jonna (Jon) Hald and sister-in-law, Shirley Harrits. She is further survived by nieces, nephews, other relatives and dear friends. Inga was preceded in death by her first husband, John; brothers, Egon and Orla (Edith) Christiansen; sister, Katherine (Arne) Pedersen and brothers-in-law, Arnold Harrits and Karsten Christiansen. RACINE—Erma Jean Morris, 61, was called Home by her Loving Savior on February 3, 2019, while vacationing in Jackson, TN. RACINE—Deborah Kay Jacobsen Rodriquez, 61, of Racine, passed away Saturday, February 2, 2019 in her home. Deborah was born on March 5, 1957, the daughter of Elmer and Barbara (NEE: Gleason) Jacobsen. Debbie loved to write, root on the Green Bay Packers, gambling at the casino’s, and scratch off tickets. She enjoyed going to church, she belonged to the church choir and loved to sing. She loved spending time with her cats and being around her family. She will be deeply missed by her children Jeremy (Meghan) Jacobsen, Jamie Jacobsen, and Best Friend Star Makela, as well as grandchildren Tyler, Austin, Ruben, and Aubrey. She will be missed by her brothers Elmer Jacobsen, Wayne Jacobsen, and sisters Karen Faraca, Dorothy Bleaschka, Beth Conner, and Jill Hyatt. She is preceded in death by her parents Elmer and Barbara, Ex-Husband Ruben Rodriquez, brother-in-law Jim Conner, and brother-in-law Mike Bleaschka. Visitation will be held on Monday, February 11, 2019 at Strouf Funeral Home at 1 p.m with a service to follow. Burial will be private for the family per Debbie’s wishes. RACINE—Gerald Thomas McCarthy, 72, of Racine, passed away on Saturday, February 2, 2019 at his home with his family by his side. RACINE—Gilbert James Bates, 71, passed away in Ascension-All Saints Hospital, on Wednesday, February 6, 2019. Gilbert was born in Racine, on September 7, 1947, the son of the late Theodore and Corrine (nee: Goodsell) Bates. RACINE—Mr. 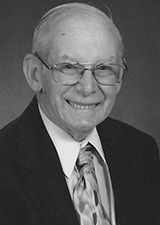 Frank F. Hargrove, 92, passed away on Friday, February 8, 2019. Family and friends are invited to meet at St. Paul Missionary Baptist Church (1120 Grand Ave) on Thursday, February 14, 2019 at 11:00 a.m. for the celebration of Frank’s life and Homegoing. There will be a visitation from 10-11 a.m. Please see Tuesday’s paper for a full obituary. You may also check the funeral home’s website for more information. MILWAUKEE—Ricky Jones, age 60, passed away on Sunday, February 3, 2019 in Milwaukee, WI. Ricky leaves to celebrate his life, Terri Lambert Jones, his wife of 40 years; three children he loved and adored dearly, Justin X., Richard J. and Tara Larain, as well as 9 grandchildren and a host of in-laws, cousins and friends. The Celebration of His Life will be held on Thursday, February 14, 2019, 11:00am in the Chapel of the Funeral Home. Visitation will be in the Chapel from 10:00am until the time of service. Military Honors will take place at the funeral home. Interment will take place in Southern Wisconsin Veterans Memorial Cemetery in Union Grove, WI. Racine, Feb. 9, Ascension All Saints Hospital, Draeger-Langendorf Funeral Home and Crematory, Mount Pleasant. Racine, Feb. 9, Ridgewood Care Center, Maresh-Meredith & Acklam Funeral Home, Racine. Racine, Feb. 9, Hospice House, Maresh-Meredith & Acklam Funeral Home, Racine. Sturtevant, Open Arms Assisted Living, Feb. 9, Maresh-Meredith & Acklam Funeral Home, Racine. Burlington, Feb. 7, at her residence, Miller-Reesman Funeral Home, Union Grove. Racine, Feb. 9, Hospice Alliance in Pleasant Prairie. Racine, Feb. 3, at his residence, Purath-Strand Funeral Home & Crematory, Racine. Racine, Feb. 9, Wisconsin Veteran’s Home, Miller-Reesman Funeral Home, Union Grove. South Milwaukee, Feb. 8, Willowcrest Care Center, Miller-Reesman Funeral Home, Union Grove.